Not So Plain Jayne: Can't control what I'm into. Wow I look super grumpy in these photos - Apologies! Today I went shopping in town and felt like going for a preppy look. I feel it's very 'Jack Wills' model inspired. 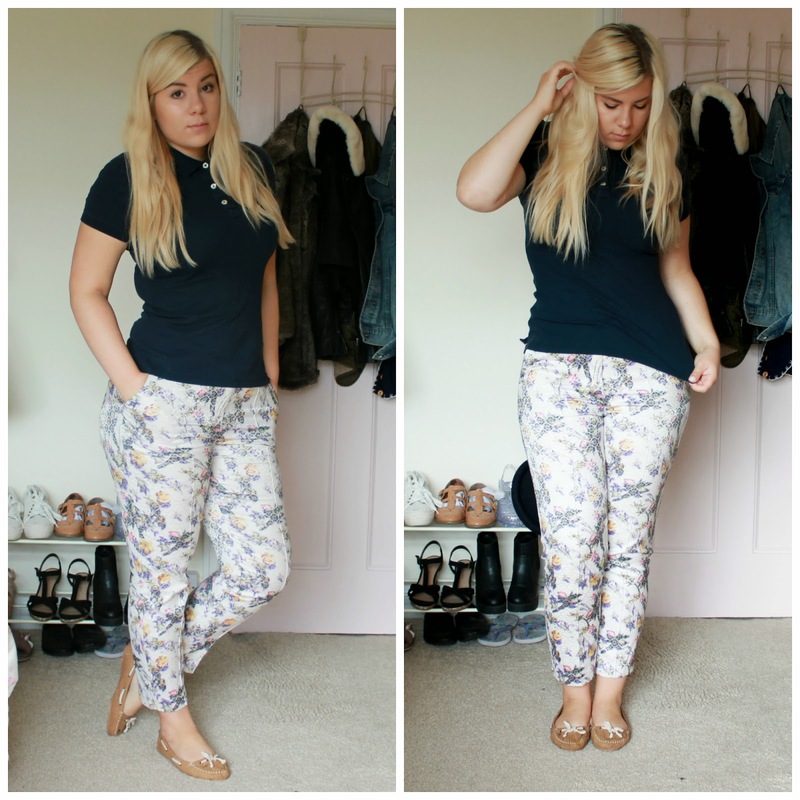 I adore these printed cigarette trousers I got in the Topshop sale last year, Especially for £20! Unfortunately the photos really don't do them justice at all. They've got such a beautiful intricate floral design on. Also when they catch the light they have a lovely iridescent criss cross pattern. Such a lovely statement piece and so different from anything else in my wardrobe. With the pattern being so bold I decided to stick with a plain blue polo to add to the preppy feel of the look. I added my gorgeously made Jack Wills parker over the top as you never know what the weather is doing here in the UK. The quality of the coat is spectacular and the option of a detachable fleecy lining is an added bonus. This feature has been a lifesaver in last couple of week when it's been consistently warm and wet. Nice. 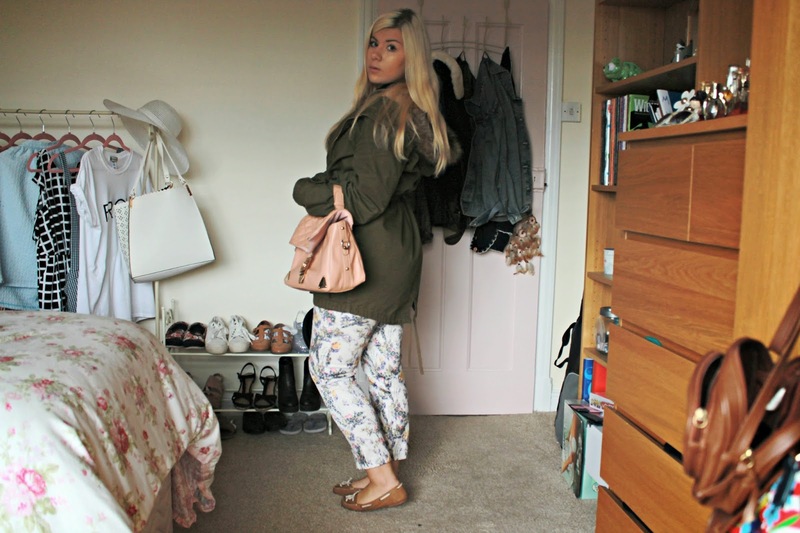 To finish off the look I put on some simple loafers from New Look. I feel that the soft suede effect of them perfectly compliments the colours in the trousers and coat - tying everything in nicely. Hope this isn't too bad for a first attempt!